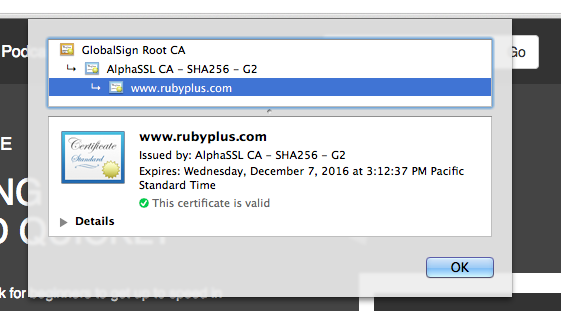 I am using Alpha SSL for SSL certificate for rubyplus.com. I did not have wildcard SSL certificate. The Chrome browser was freaking out with CORS related errors because I was accessing static resources using cloudfront.net domain. Did you know you can get free wildcard SSL from Amazon? As long as you are in virginia region, you can get a free SSL from Amazon. I am using Linode for deploying my Rails apps. The instructions will work for any VPS. 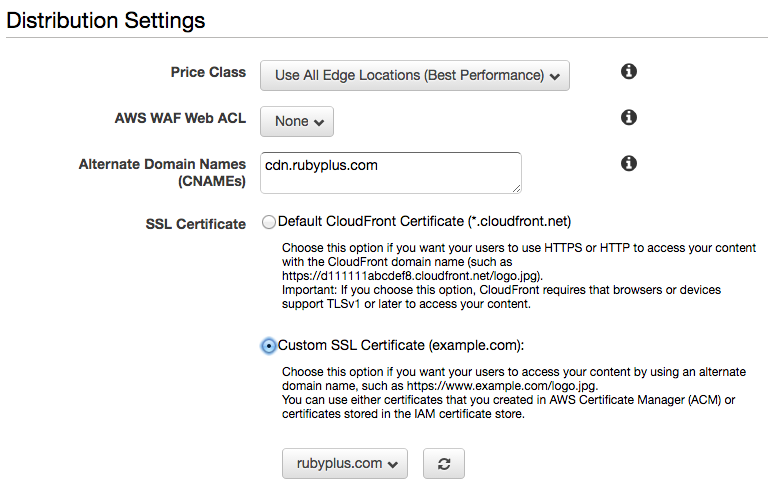 Create a CNAME for cdn.yourdomain.com pointing to https://your-cloudfront-cdn-id.cloudfront.net in Linode. View page source on your site and grab a link to an image and use curl to test. 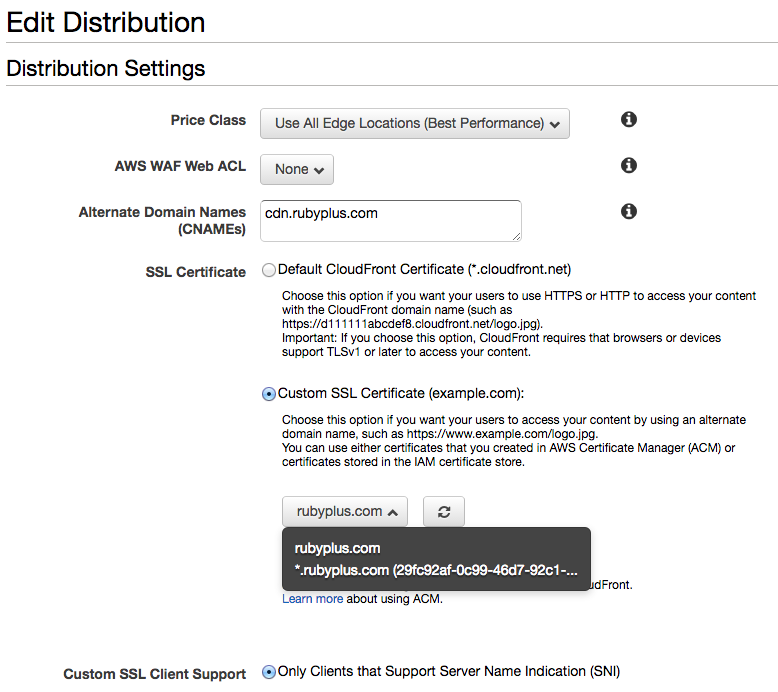 Add cdn.yourdomain.com as the CNAME in the CloudFront settings. Install AWS command line tool on your laptop. Convert crt to pem on the server. Go the directory where the SSL certificate files are stored and run openssl. This generates the intermediate_domain.pem file. 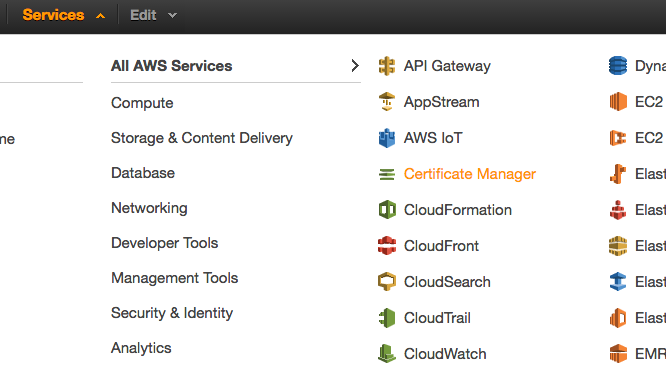 You can upload the generated SSL intermediate certificate to AWS by using the AWS command line tool from your laptop. My Cloudfront is in the us-east-1 region. Go to .aws directory on your laptop and check the generated files. drwxr-xr-x    4 bparanj  staff   136B May 26 16:37 .
drwxr-xr-x+ 131 bparanj  staff   4.3K May 26 16:37 ..
Run the AWS command line tool again. 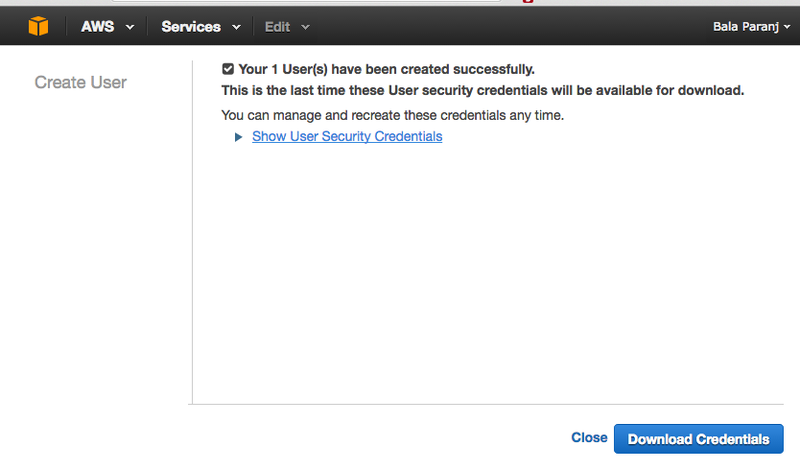 Login to your Cloudfront account and provide the user the permission to upload files. 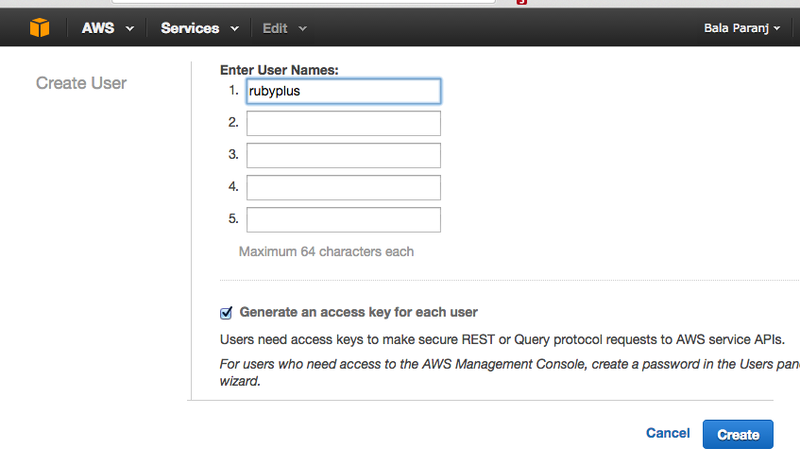 Create a new user in AWS. 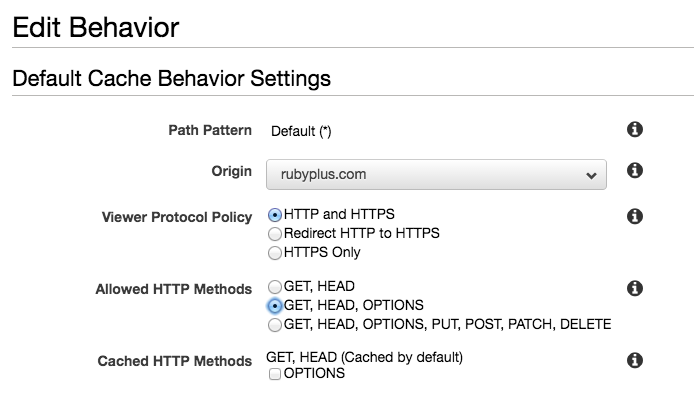 Attach Policy to allow user to upload SSL certificate. Chooose Custom SSL Certificate for the CDN in Distribution Settings. It had the same problem. Connection is not private error in Chrome. 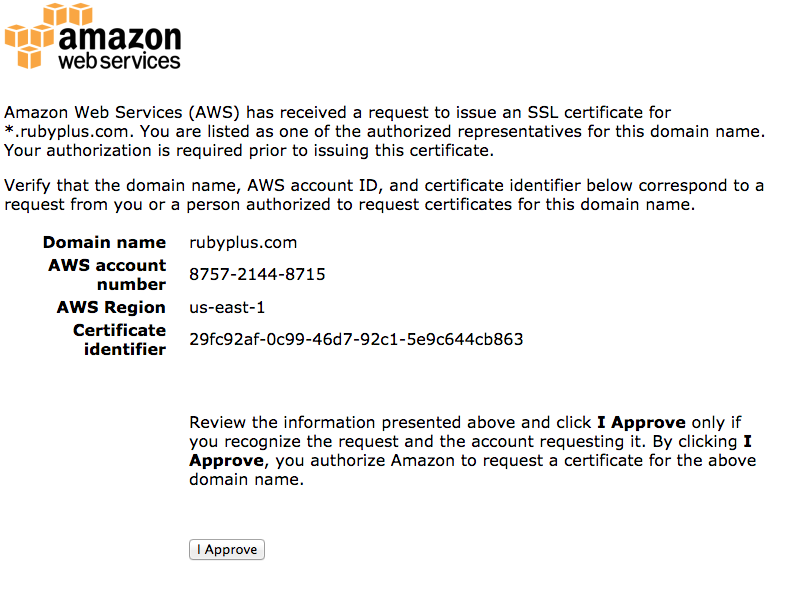 Approving the Amazon SSL request. 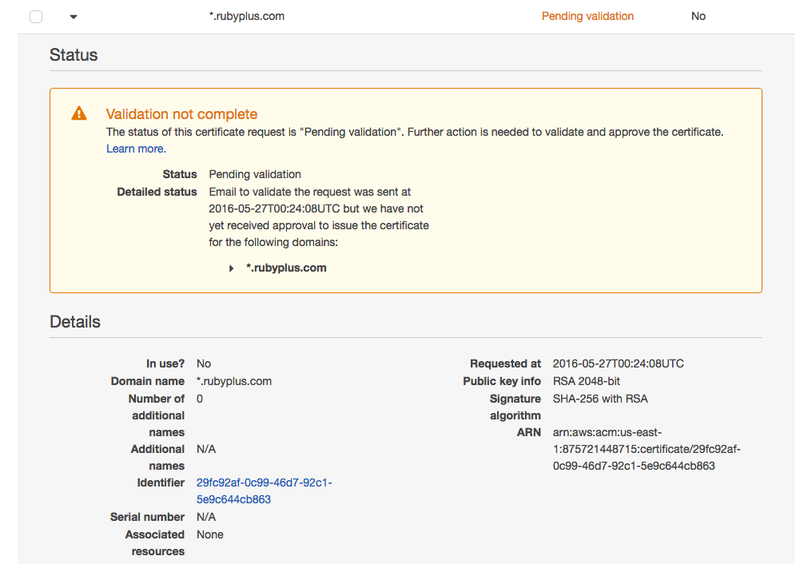 Successful approval of Amazon SSL certificate. Deploy your Rails app. Go to your site and view page source. Hyperlinks without protocol. Font from origin 'https://cdn.rubyplus.com' has been blocked from loading by Cross-Origin Resource Sharing policy: No 'Access-Control-Allow-Origin' header is present on the requested resource. 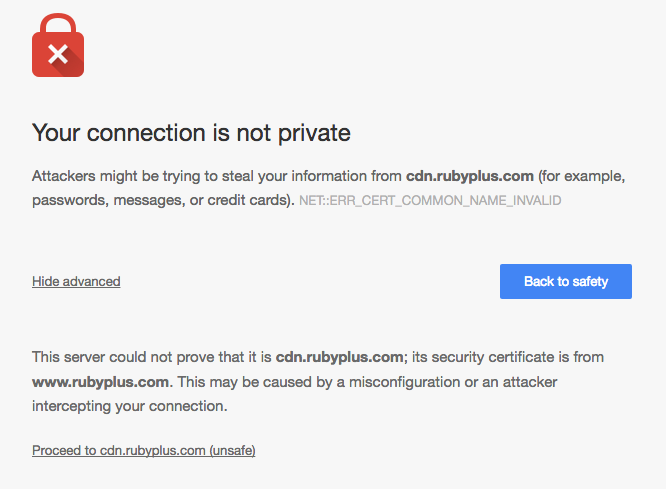 Origin 'https://www.rubyplus.com' is therefore not allowed access. Font from origin  has been blocked from loading by Cross-Origin Resource Sharing policy: No 'Access-Control-Allow-Origin' header is present on the requested resource. Origin  is therefore not allowed access. I found that you have to set a CORS Configuration for your CloudFront in AWS console. 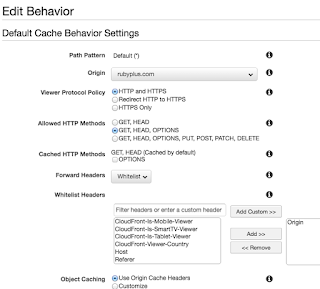 In CloudFront -> Distribution -> Behaviors for this origin, use the Forward Headers: Whitelist option and whitelist the 'Origin' header. Wait for 20 minutes or so while CloudFront propagates the new rule. Now your CloudFront distribution should cache different responses (with proper CORS headers) for different client Origin headers. Use curl to test the cloudfront setup by hitting an icon. The output shows that it worked. 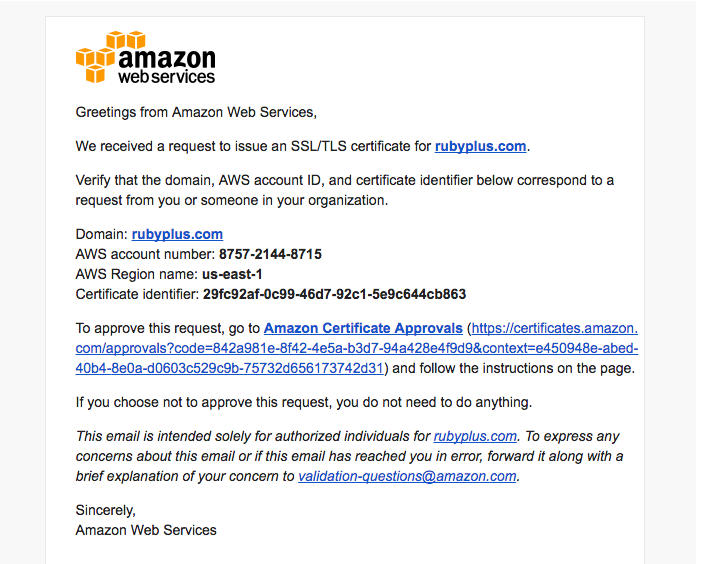 The Amazon SSL takes care of the wildcard SSL. 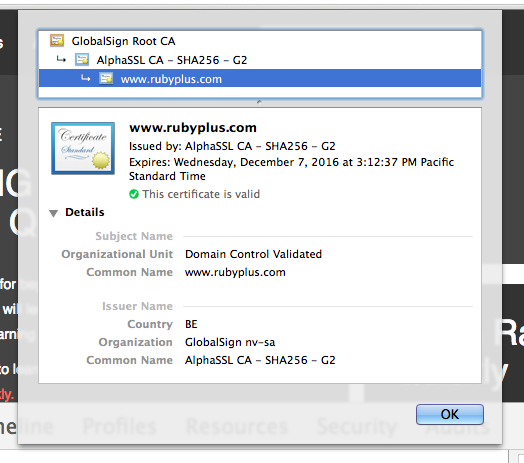 The Alpha SSL takes care of the SSL for rubyplus.com and www.rubyplus.com. If you inspect the page, Chrome shows the following error. Font from origin 'https://cdn.rubyplus.com' has been blocked from loading by Cross-Origin Resource Sharing policy: No 'Access-Control-Allow-Origin' header is present on the requested resource. 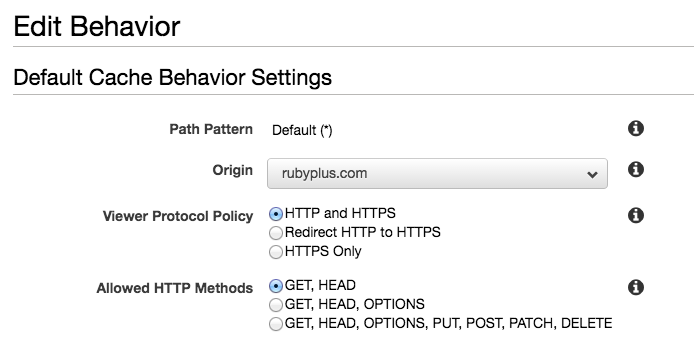 Origin 'https://rubyplus.com' is therefore not allowed access. 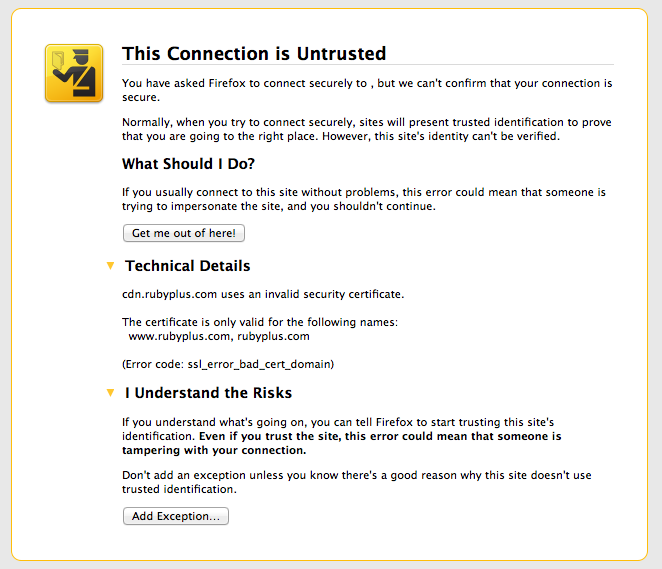 Firefox error is better, it shows specific cause of the problem and suggestions to fix them. Cross-Origin Request Blocked: The Same Origin Policy disallows reading the remote resource at https://cdn.rubyplus.com/assets/OpenSans-Regular-e64e508b2aa2880f907e470c4550980ec4c0694d103a43f36150ac3f93189bee.ttf. This can be fixed by moving the resource to the same domain or enabling CORS. You do not need to restart apache server for this change to take effect. You must have OPTIONS also as shown here. Make sure to whitelist the origin header.